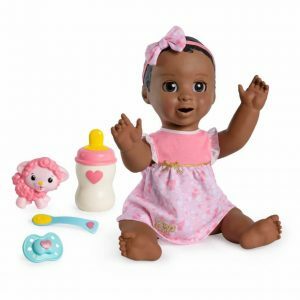 Easily one of the most sought after toys to find this 2017 holiday season, the Luvabella doll is a real hit among parents with young children. The toy has a stunning variety of lifelike facial expressions and body movements that it can make, and it is capable of learning over time which is quite interesting for a toy of this kind. Essentially, the more you play with it, the more it will learn. 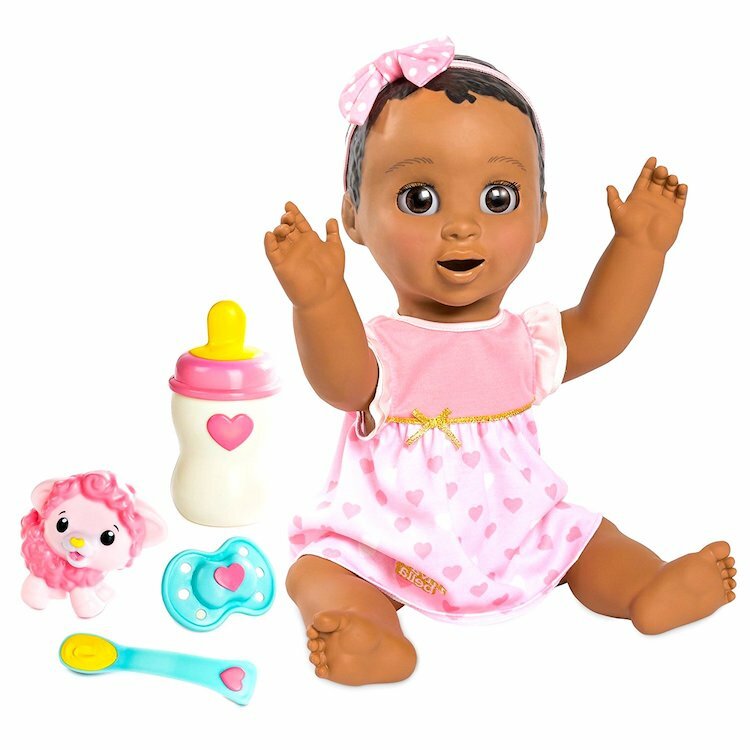 She comes with some interactive accessories such as a bottle, pacifier and spoon that your child will love as they take care of the doll. 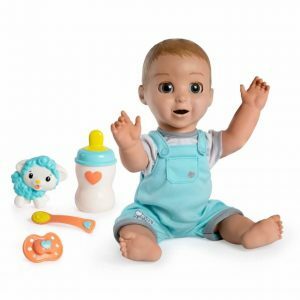 Your child will love this doll because of the facial expressions alone and the ability to interact with it. The doll is a hard plastic body but actually feels fairly soft to the touch. This model has dark skin and dark brown hair, one of a variety of models that you can choose from. One interesting feature is that you can select between languages – English or French. There are sensors on her back, her feet, belly and face and she reacts when your child tickles or rubs her. To start, she just makes babbling sounds like an actual infant. 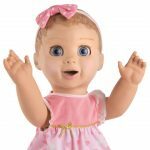 As time goes on and your child plays with her, she begins to say real words, and over 100 words and phrases according to the manufacturer. Even better, she can be reset back to babbling should the doll be handed down to another child. This product is 4.3 pounds. Recommended age is 36 months to 5 years old. 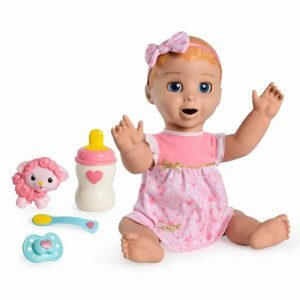 This Luvabella doll requires four C batteries which are NOT included, so you’ll need to buy some as well or this doll won’t work out of the box! What Type of Batteries Do You Need for the Luvabella Doll?